Way back in April 1985 Steve Fonyo passed through Edmonton on his "Journey for Lives" across Canada to raise funds for cancer research. He stopped at the Colosseum and for some reason I was there - possibly a school field trip. 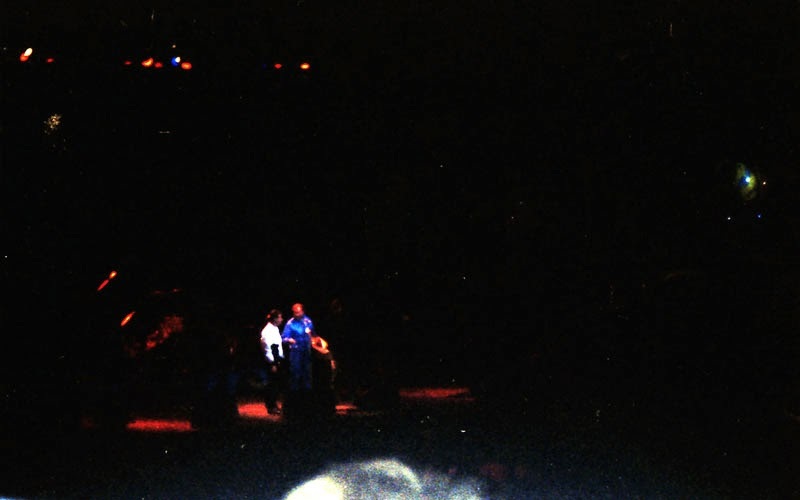 Using my second camera, a slim Kodak that used the now-obscure 110 film format, I snapped a couple of photos of Fonyo on stage. As might be expected, Fonyo (in white) and the other gentleman on stage are tiny and unrecognisable, and my flash, given the distance, did nothing. The result is a noisy, blurry, artless photo that reveals nothing of the subject or setting. Photo phail!